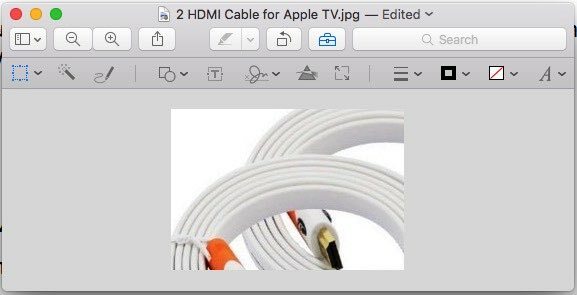 how to crop image on Mac without third party software? Difficult For new Mac Users or are you editing picture at First time like Crop image in square, Circle, Elliptical shape, Without any this party software. You can do on Mac Preview image tools. But through Apple’s Preview tools you can’t do without any past experience and knowledge about it’s useful or not. So on my suggestion, it’s Perfectly works, You can do anything about crop image in different shapes, Fills colors, Set text, Merge images, Change image size or canvas size. So learn how to crop image on Mac OS X EI Capitan and Also works on OS X Yosemite. Preview image tools is official Apple software for preview of images and Edit with basic tools with supporting all the picture formats (JPEG, PNG, GIF, ect..). Step 1: Go to the image, Right click on and Go for Open with. Step 2: Next, Click on Preview (Default). Step 3: Now you can see image in preview. For crop part of image. Click on “Show markup toolbar“. for show all image editing tools. Step 4: Now, from right side toolbar, Click on crop icon. Smart Lasso – Smart tools for crop object perfectly. After Select object, Press Command + X on Mac and Ctrl + X for Windows. Then Save in to your own format by go to File > Export > Format (JPEG, Open ExR, PDF, PNG, TIFF) and Quality. want more and easy tools on your Mac OS X EI Capitan. for Snapshot, Edit, Give Direction, And Photo effect beautifully, So here are the great Screen capture software for Mac in Free. Want more tips about your Work on Mac, Like How to crop image on Mac, Edit image, Magnify object in picture and more share with us on comment box.